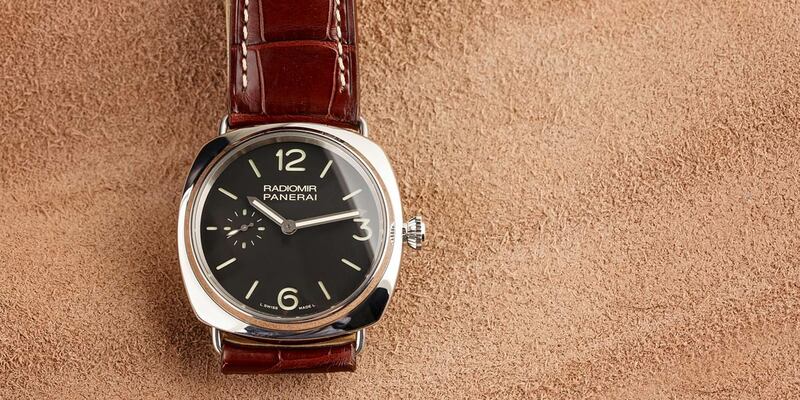 The Panerai Radiomir both in name and design play a significant part in the history of the brand—more so than one might imagine. In name, French patent records dating all the way back to 1916 show a filing bearing the name Radiomir for a special Radium-based luminous powder developed by the watch company to meet the demands of the Royal Italian Navy. Panerai had already been supplying instruments to the navy for years prior, and this patent was another step forward in their budding relationship. The PAM 337 is a great watch with a highly legible dial created for the military. Roughly 20 years later, the Radiomir as we know it was born. Built for the Frogmen—a special commando division of the Royal Italian Navy—the Radiomir was a large 47mm steel cushion-cased wristwatch with wire lugs welded to the case. These pieces by Panerai were designed with bright luminous indices in a “California dial” configuration, straps long enough to wrap over a diving suit, and of course, waterproof cases. Many of the early variants of these watches that have surfaced over the years have been found fitted with hand-winding Rolex calibers. 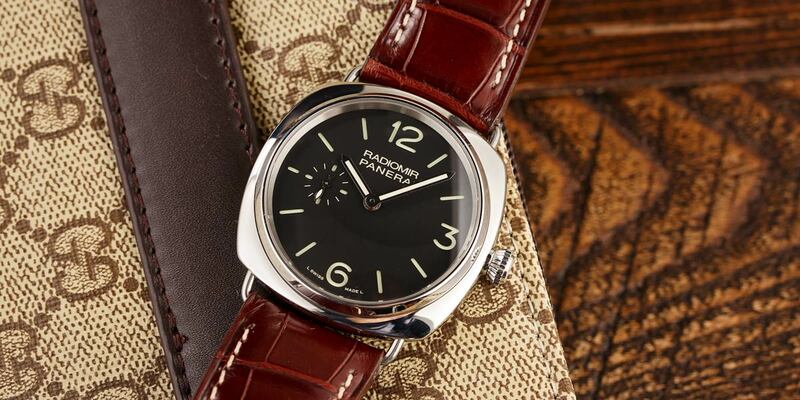 The Panerai PAM 337 was intended to be worn on a wetsuit. A mere two years later a modification to the Radiomir’s design appeared that soon became a core part of the brand’s design language—the iconic sandwich dial. By creating a two-layer dial where the upper plate had its arabic numerals cut out, and a lower plate upon which to apply a healthy coating of luminous material, the Radiomir’s dials benefited from significantly enhanced legibility like their PAM 448. Not only was this of great help to the members of the Navy who put them to the test in the field, but also created a unique aesthetic that makes a Panerai watch easy to distinguish from anything else on the marketplace. Though minor design tweaks have been made along the way, this overall aesthetic has remained a key part of the Panerai lineup, and the brand has unveiled a significant range of Radiomir models through the years, including the PAM 337 seen here. What are your thoughts on the PAM 337? Comment below. The Panerai Radiomir 42mm was first unveiled in 2010, and received a very warm welcome from watch enthusiasts across the board. 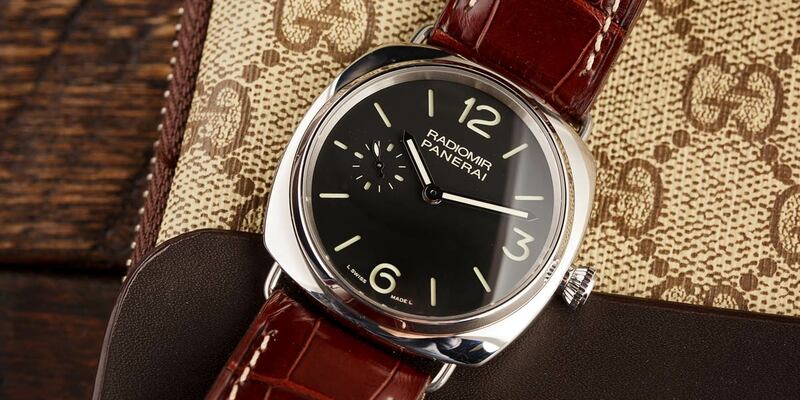 While the vast majority of Panerai’s offerings were generally on the larger side at the time, the new Radiomir was the first in this design to be scaled down to a more modest 42mm. Due to its flat construction and wire lugs, it still has ample presence on the wrist, though this update certainly opened up the doors to more collectors that previously found the model a touch too oversized. As an added bonus, the piece was also fitted with Panerai’s then-new in-house caliber; the hand-wound P.999 with a 60-hour power reserve. This new caliber also meant that Panerai was able to trim a little thickness from the case, which comes in at a very modest 11.7mm thick. Though a fairly casual-looking piece overall, it certainly has the right profile to tuck under a shirt cuff when called in for day-to-day office duty.